Utilizing the vast experience and innovative technology developed over 40 years, Fujitsu introduces a new enterprise class 2.5-inch SAS drive offering industry leading performance and environmental benefits. The MBE2-RC series is the first enterprise hard disk drive from Fujitsu to be halogen free. 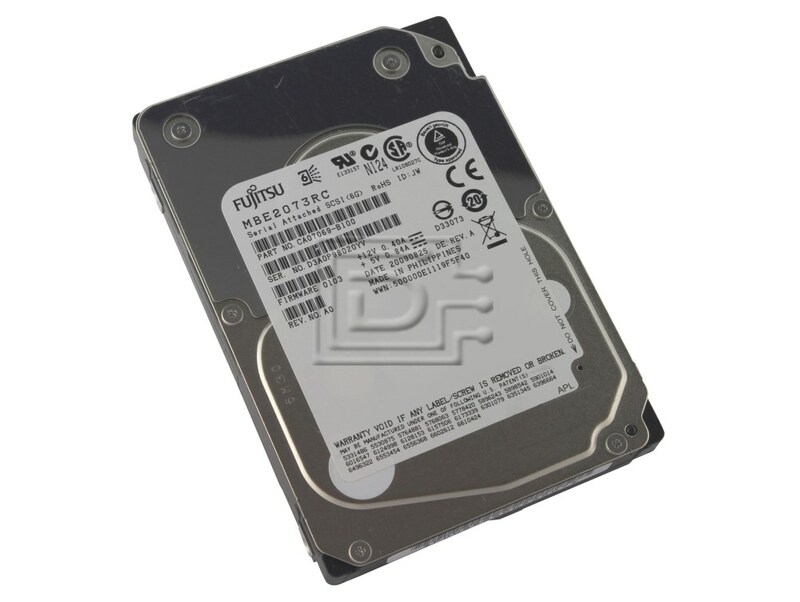 The 15,000 RPM, 6Gb/sec., SAS-2 interface enterprise drive doubles its capacity from previous generation models through the adoption of perpendicular magnetic recording. The higher capacity and performance meets a wide range of enterprise applications, from highend servers to disk storage arrays. In addition, the best-in-class low power values are ideal for servers and storage systems used in data centers, which require minimal energy usage and mounting space. The 6Gb/sec. SAS-2 interface and improved areal densities enable higher data rates. As part of the Fujitsu Green Policy Innovation program, the new series provides the best-in-class power consumption at 4.1 watts idle, achieving up to 21% reduction from previous generation models, and up to 68% reduction from current 3.5" 15K RPM offerings. Seek time (track to track) Read 0.2 / Write 0.4 ms. typ. Average latency time 2.0 ms.
Power requirement Idle (ready) 3.9 W typ.